This powerful prayer is very effective in examinations. It has to be said before appearing in the examination. There are two variants to this prayer. Both the prayers are equally effective. You can choose any one of these:- First Prayer O Great St. Joseph of Cupertino who while on earth did obtain from God the grace to be asked at your examination only the questions you knew, obtain for me a like favour in the examinations for which I am now preparing. In return I promise to make you known and cause you to be invoked. Through Christ our Lord. 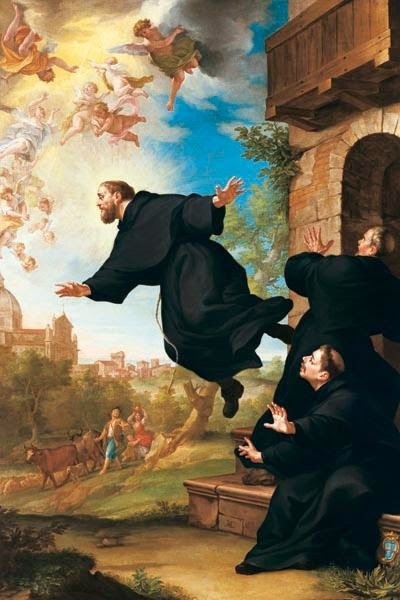 St. Joseph of Cupertino, Pray for us. Amen. In return I promise to make you known and cause you to be invoked. O St. Joseph of Cupertino pray for me O Holy Ghost enlighten me Our Lady of Good Studies pray for me Sacred Head of Jesus, Seat of divine wisdom, enlighten me. Remember, when you succeed in the exams then you should thank St. Joseph of Cupertino. Image Source: Ordo Fratrum Minorum Conventualium. He is patron of students doing exams, travellers (especially those undertaking journeys by air), pilots, and is invoked by children, adults and the elderly who are unloved, abandoned or neglected.